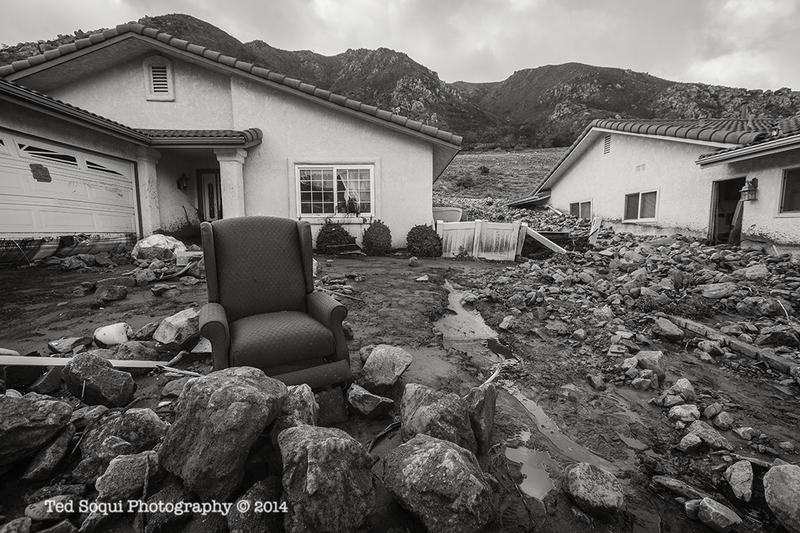 A large mud and debris slid buried several homes in the community of Camarillo Springs earlier today. 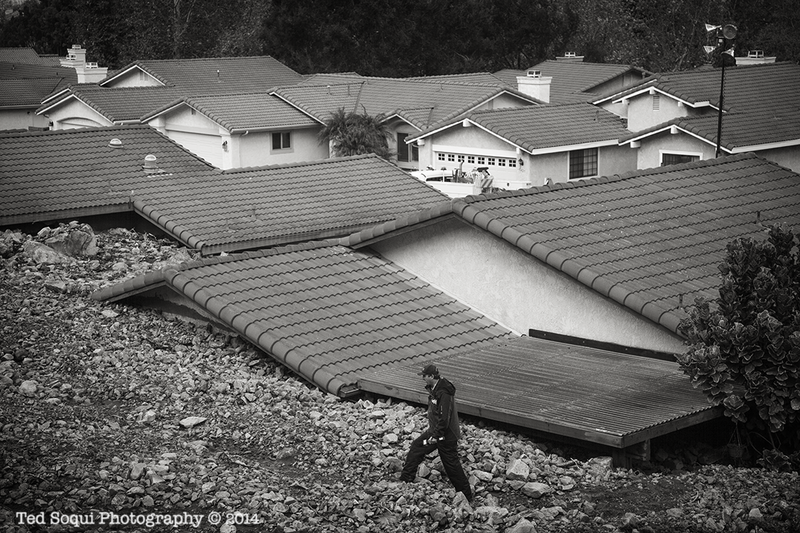 Heavy rains quickly soaked the fire denuded hill sides causing the huge slide. A sofa chair in someone's front yard. 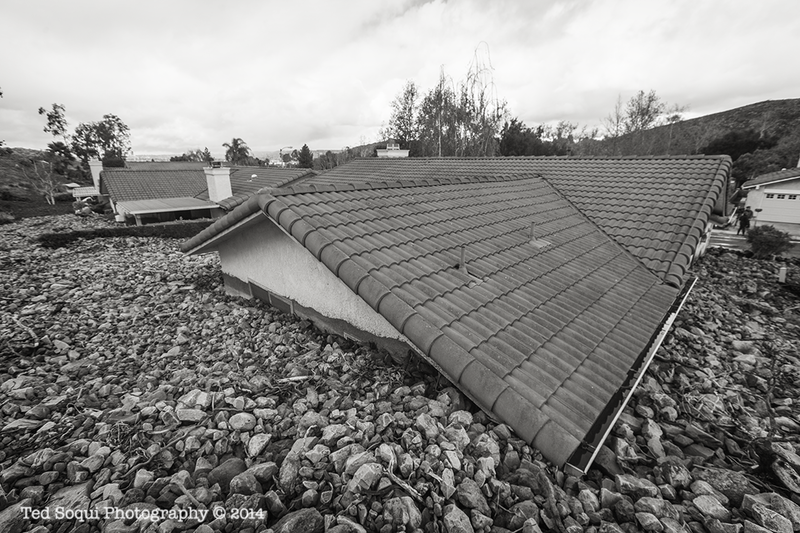 Rocks and debris up to the roof level. 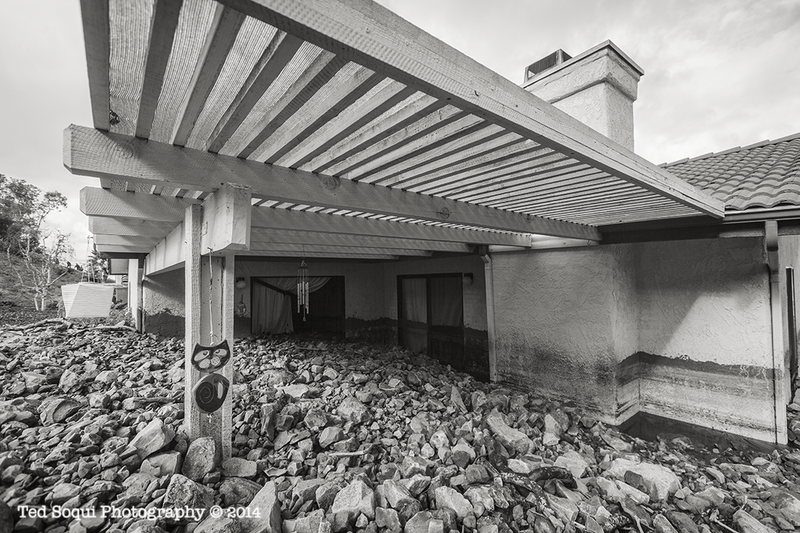 A back yard filled with debris from the hill side. 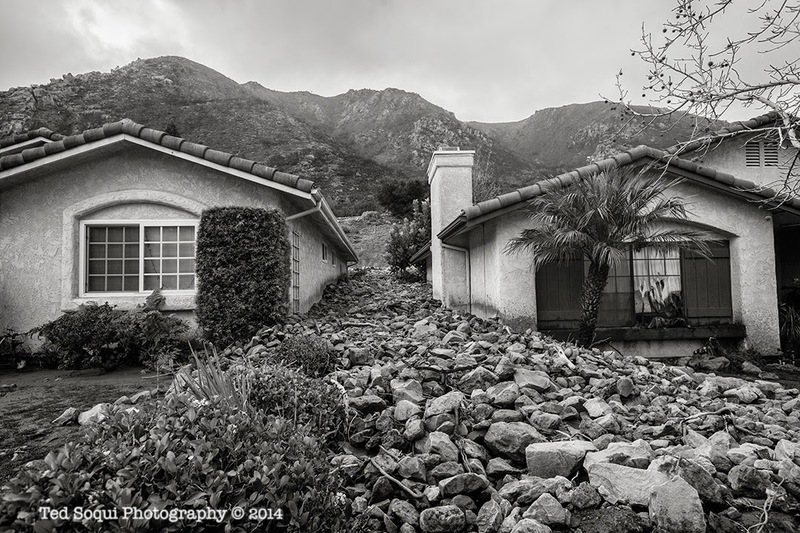 Debris flow between two homes.